Tip of the hat to our reader, Jerry, for this article. 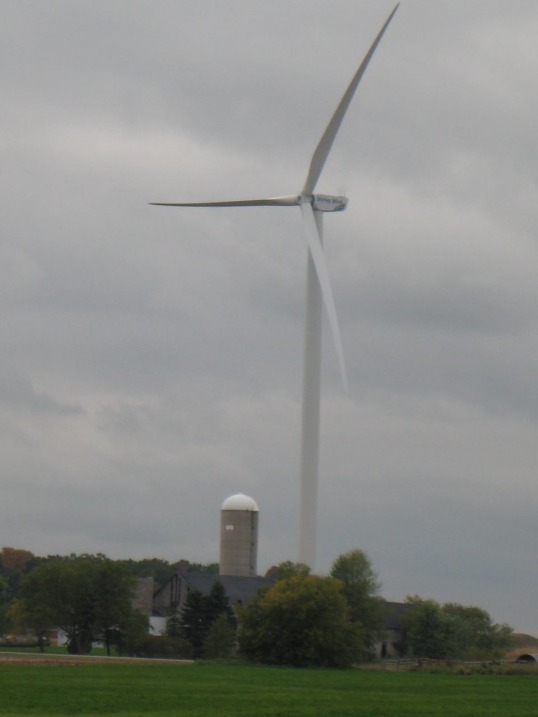 We are very concerned that the article about the Blue Creek Wind Farm, “Winds of change blow across Ohio” (Oct. 7), submitted by Van Wert area Chamber of Commerce CEO Susan Munroe, is highly misleading. •Electricity from wind is very high in true cost and low in true value. •The principal reasons that companies such as Iberdrola build wind farms (including Blue Creek) are generous government tax breaks and subsidies provided to wind farm owners. •The cost of government financial subsidies for wind energy is borne by taxpayers, including Ohio taxpayers, and is in addition to the cost of electricity from wind that shows up in electric bills. •Her favorable appraisal of wind energy ignores the adverse environmental, economic, electric system reliability, scenic and property value effects of wind farms. These adverse effects have been demonstrated in the U.S. and other countries where wind farms have been built. •The $172,688,076 grant from the U.S. Treasury Department awarded to Iberdrola on Aug. 20, 2012, accounting for nearly 30 percent of the capital cost of the Blue Creek Wind Farm. The cost of that grant money is borne by taxpayers, including taxpayers in Ohio. •The higher costs of electricity that will be paid by Ohio’s electric customers due to the state’s “renewable portfolio standard” that requires that an increasing share of electricity sold in the state be produced by using “renewable” energy sources such as Iberdrola’s wind farm. Continue reading full article here….. The Blue Creek Wind Farm required an investment of $600 million, touted as the largest investment in wind in Ohio in 2011. As indicated in your article above, this was offset, in part, by a federal stimulus grant for more than $172 million; and other government dictated incentives, such as Ohio’s SB 221 renewable energy mandates. A bit of additional research and analysis indicates that the 304 MW (nameplate capacity) wind farm in western Ohio is producing at a capacity factor of only 29.7%; which means that the wind farm is only capable of providing around 790,000 MWh of intermittent electricity per year. This can be verified by information provided by the US EIA in EIA-923 2012 Data and also EIA-923 2013 Data. Unfortunately, once again, there is no hope of paying back the $600 million investment thru the sale of useful electricity at market rates. As always, there must be heavy doses of subsidies from the taxpayer and individual customers to offset the losses and provide Iberdrola with a profit. If you would like a link to see the analysis and background information, let me know.